In some European countries patients are warned that if they don’t use the CPAP device that their driving licenses will be confiscated. This is not the case in the UK at the moment. Please see the current DVLA page on sleep apnoea. The main advantage of CPAP is that there are very few side effects if you can tolerate the CPAP device. Also using CPAP before undergoing surgery makes the operation much safer and Mr Vik Veer will explain that if using CPAP is a possibility, that patients should continue CPAP even during surgical treatments. The plan would be to slowly come off CPAP and sleep without it once all the treatment is completed. These are basically gum guard like devices that bring your lower jaw forward. If your tongue causes most of your obstruction during sleep, then this should allow you to breathe better at night. There are again some difficulties with being able to tolerate this device in your mouth all night, and some patients complain of tooth loosening and sore jaw joints in the mornings. These devices may be used with CPAP as well. If patients cannot tolerate or dislike the idea of CPAP or Mandibular Advancement Devices, then the only other option is surgery. From the back of the nose to the voice box, there are many different problems in the throat that can cause snoring or Sleep Apnea. Therefore there are many different operations and every patient is different. No one has the same problem and therefore there is no one operation that fixes everyone. In the past surgeons used one operation to try and cure sleep apnoea, but because it was only the correct operation for a small percentage of patients, only a few people gained benefit from it. Using modern surgical techniques we are now able to determine what is causing the problem in each case. Using this information Mr Vik Veer is able to select the correct operation for each patient. An operation for the palate hardly ever cures sleep apnoea. Drug Induced Sedation Endoscopy (DISE) This is when a very small amount of anaesthetic is given to drift a patient off to sleep. At a same time, a tiny fibreoptic telescope is used to visualise the throat whilst the patient is asleep. The whole procedure takes about 10 minutes or so, and the risk of complications is extremely low. Currently DISE is the only way to find out where the snoring noise is coming from and what is causing the obstruction in the upper airway. Unfortunately all the other techniques for determining the cause of obstruction only really tell you the approximate anatomical level rather than the actual problem. For example a large uvula, a lateral pharyngeal wall collapse, a tongue base obstruction, tonsillar obstruction or a epiglottis trapdoor problem all occur at roughly the same level. At this level they can all cause problems simultaneously and to a different degree in each individual. That is why Mr Vik Veer uses DISE to identify the actual problem and know how to treat it. The quality of DISE recordings have improved considerably in 2016 with newer techniques for this investigation. Mr Vik Veer has spoken internationally about DISE, and has introduced a new classification system for its use. DISE is a difficult technique and Mr Vik Veer has conducted an international survey on DISE and found that the understanding of this procedure in the UK is poor. He is a world expert in this field, and will be happy to discuss this technique in more detail with you if you wish. Improving the flow of air through the nose does not actually improve snoring or obstructive sleep apnoea, and in some cases it actually makes snoring worse. This is because even though you now are able to breathe through your nose, it does not necessarily mean that you will automatically start breathing through your nose during sleep. breathing through the mouth becomes a habit for people, and so it is unlikely that you will preferentially use the nose to breathe even after surgery. In these cases, using a chin strap (a device to close the mouth at night), is enough to slowly convince you to breathe through the nose and hopefully reduce the volume of snoring to a socially acceptable level. Once the patient has habituated to breathing through the nose again during asleep, he or she should be able stop using the chin strap and carry on without it. There are many different operations for the nose. Some operations (such as turbinate reduction) can be done under local anaesthetic, and have very few complications. Other operations such as a septoplasty (where the central partition of the nose called the septum is straightened up so you can breathe equally on both sides), and polypectomy (where polyps are removed from the nose to help breathe past them), can take longer to perform, and will probably require a few days off work. Choosing the correct operation is a difficult balance, and sometimes can only be decided during the operation itself. Most of the time Mr Vik Veer will choose the least invasive option to help patients breathe better. These operations include any operation involving the palate or uvula (the dangly thing at back of your throat). This includes using a laser or other techniques to stiffen or reduce the size of the palate. In the past surgeons only used these operations to try and treat Obstructive Sleep Apnoea. This was always bound to fail as the palate is a flap and can close the entrance to nose OR mouth. What the palate cannot do is block the nose AND the mouth at the same time. So if the palate is blocking the nose, the patient will just open their mouth and breathe through their mouth instead or vice versa. This will lead to snoring certainly, but the patient will still be able to breathe meaning that they cannot get Obstructive Sleep Apnoea. Occasionally the uvula, may be involved in blocking the airway. 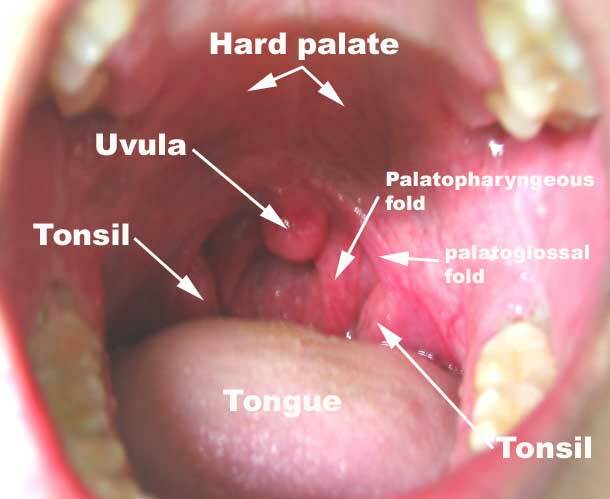 The uvula can drop down behind the tongue where the majority of obstruction in sleep apnoea occurs. The uvula may block off the last 5%-10% of an already severely constricted airway. So in the past when surgeons just operated on the palate, removing the uvula (which is a part of these palatal operations), only opens a small amount of the airway. This is why some sleep apnoea patients did initially get better after this operation, but normally this effect did not last for long. This led to recurrence of problems particularly in the long term. With newer techniques recently developed, we are able to identify these issues and choose the correct operation for each patient. In most cases sleep apnoea patients very little needs to be done to the palate, which means the pain from this operation is greatly reduced. Most people who snore without obstructive sleep apnoea have a problem with their palate. There are now various techniques to scar and stiffen the palate to make it more rigid and tight. This stops it vibrating so much, and therefore reduces the noise that it generates. Some operations cause minimal pain, but may take longer to have an effect. Mr Vik Veer will be happy to discuss the options with you as he has taught on international courses about these techniques. Tonsils can obstruct the airway by meeting together in the middle and not allowing any air to pass. Sometimes even though tonsils look small inside the mouth, they can still have a large component at the back of the throat that can still cause significant problems breathing. So using DISE certainly helps in the investigation of these patients to decide if a tonsillectomy is required. A tonsillectomy is a relatively quick operation taking less than 5-10 minutes on average. There are a number of ways of removing tonsils and more information about this can be found on the tonsillectomy page on this website. 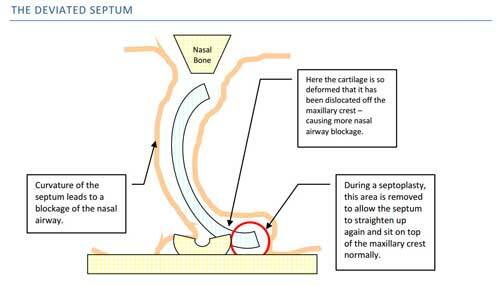 In brief, for Snoring and sleep apnoea patients, Mr Vik Veer normally uses a cold steel intra-capsular tonsillectomy technique for most patients. It isn’t possible to use a tonsillOTOMY approach in sleep patients as it still leaves tonsillar tissue behind and that can still lead to obstructive sleep apnea and snoring. In children an intracapsular tonsillotomy (coblation) approach is probably adequate in most cases. Discussing the pros and cons of different types of tonsil operations is a difficult balance, and Mr Vik Veer will be happy to discuss this with you and explain it all. In some patients (particularly in those with sleep apnoea and loud snoring), the lateral pharyngeal wall collapses down and obstructs the airway. This is the back wall of the throat you can see behind the tonsils and behind the uvula. In some severe cases you can even see a bulging of the tissue here behind the tonsils, which Mr Vik Veer calls ‘lateral wall cushions’, which is one of the signs that this area is a problem. The back wall of the throat collapses down towards the back of the tongue and the back of the palate, sometimes completely blocking off the throat and causing Obstructive Sleep Apnoea. It is a difficult area to treat, and only a minority of surgeons in the world actively operate here. Expansion Sphincter Pharyngoplasty is one of the operations that is used to remedy this problem, and there are several modifications to the original described technique. In short it uses some of the muscles in the back of the throat, and redirects them. By attaching these muscles in different locations the airway can be forced open rather than collapse upon itself. It is a powerful technique in the correct patients, and Mr Vik Veer has had complete cures (AHI<5), in some extremely severe sleep apnoea patients (AHI > 100! ), with this operation. There are a few other operations that can be used to treat this problem, many of these are being developed by Mr Vik Veer. The tongue is a common reason why people have Obstructive Sleep Apnoea, and rarely snoring noise comes from here. The tongue falls back and blocks the throat, stopping breathing. The tongue is extremely difficult to operate on, and therefore Mr Vik Veer has experience with a number of techniques to use so that he can individualise care for each patient. The least painful operation is radiofrequency ablation of the tongue base which stiffens and shrinks this area so patients can breathe past the obstruction. Coblation and robotic surgery of the tongue base are other techniques which reduces the volume of the tongue so that it doesn’t obstruct breathing. Mr Vik Veer is also leading research into a new implantable device that will be inserted into the tongue to stimulate it so that it doesn’t block the throat. This operation will be the first of its kind in the United Kingdom, and should be available once the results are verified. 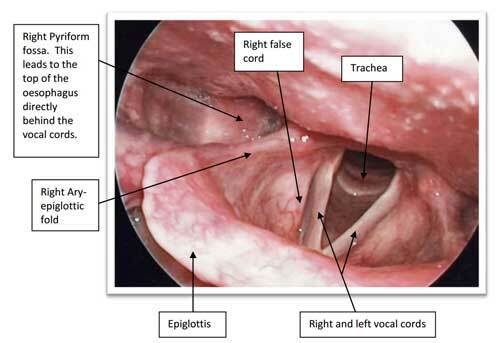 There are a number of problems that may affect the larynx (also known as the voice box), and the epiglottic trapdoor is the most common of these. The epiglottis is used to divert food away from the voice box during swallowing so that food doesn’t go down the wrong way. In some patients the epiglottis collapses back into the voice box during breathing which completely blocks off the ability to breathe. This is one of the reasons in why CPAP actually makes these patients worse, rather than better. There are a number of other different problems of the larynx that can make breathing more difficult. These are the very basics of the surgical options for snoring and sleep apnoea. Obviously there are a number of modifications and subtleties that are not included here. Most of the differences occur when a number of different obstructive problems occur simultaneously. In this situation, individualised treatment is needed, and Mr Vik Veer will explain this to you in detail. Back to Complications of OSA?